Welcome to the first independent film for Science On a Sphere. Produced by Verglas Media. A story of the greatest perspective of all - looking at our home planet from space. For the people of Earth. A short 30-second teaser embodies the spirit of the film and asks a vital question. We hope it leaves you wanting more. 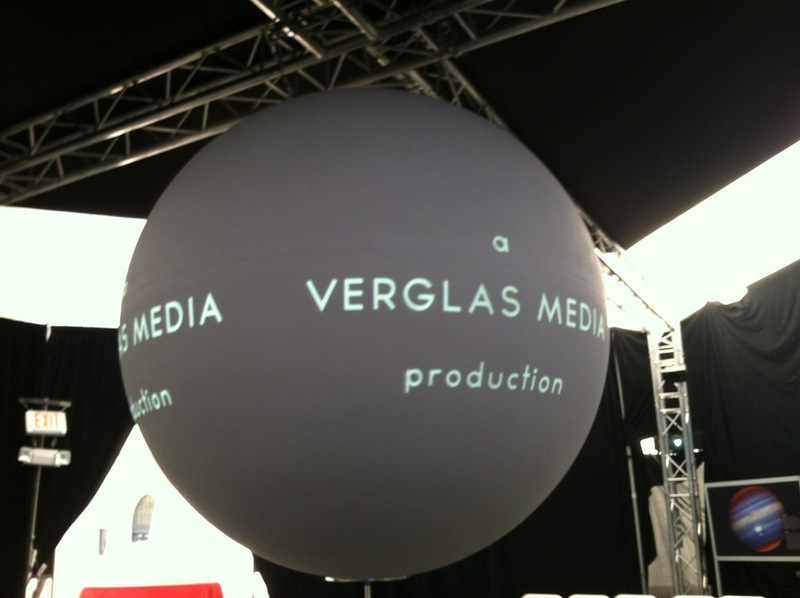 And don't worry - no need to find a sphere to watch the trailer - we made it for a rectangle and put it on the web. Writing the film, we imagined the sense of wonder and astonishment that, decades ago, occurred each time a ground-breaking image of Earth was returned from off-world. Humanity has always gazed upward to the stars. Now, we are finally looking back. This new perspective seems to rekindle a deeper appreciation for our living and breathing planet. It is beautiful and fragile. It is home. 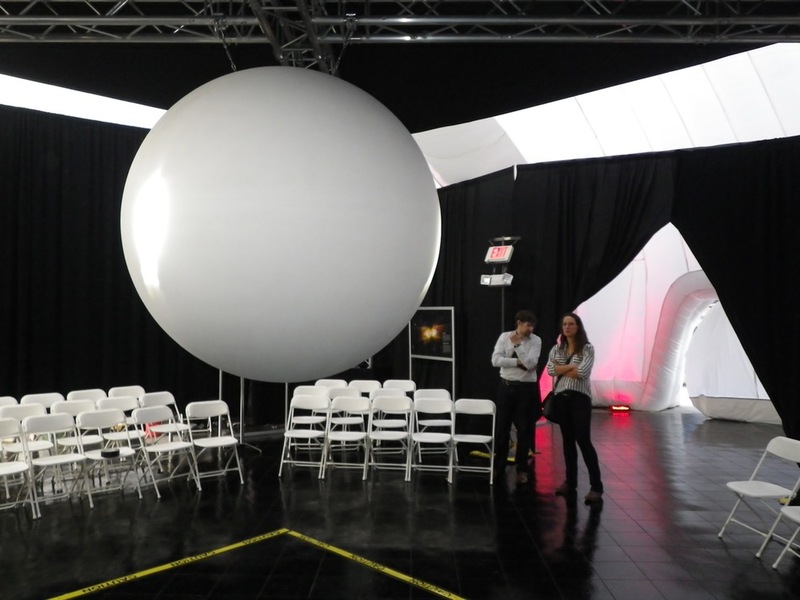 August 13, 2014 - Available to Science On a Sphere installations around the world. As a short film, Our Pale Blue Dot can only cover so much ground; it serves as an introduction into the basic concept of looking at Earth from space; it inspires us to consider the value of doing so. In our resources section below, we highlight much of the source content used as well as links to in-depth material regarding the science of climate change. In 1990, thanks to a suggestion from Carl Sagan, we have the famous Voyager 1 image of Earth; an image he later dubbed the “Pale Blue Dot”. 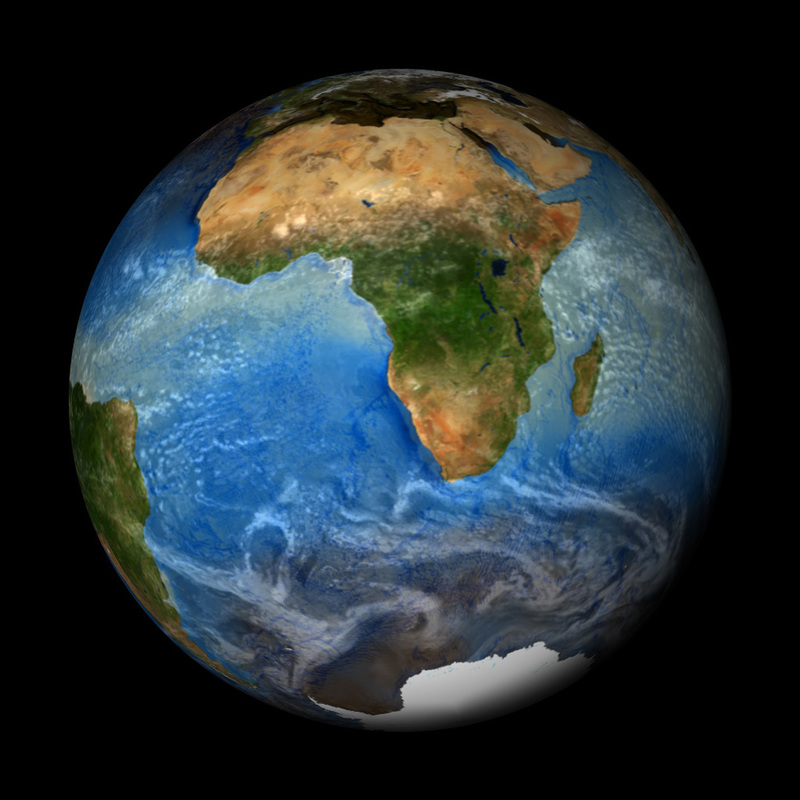 This image often gets visually intertwined with the Apollo 17 image from 1972, the “Blue Marble”. Our story examines each of these images, among other famous early images of Earth from space. 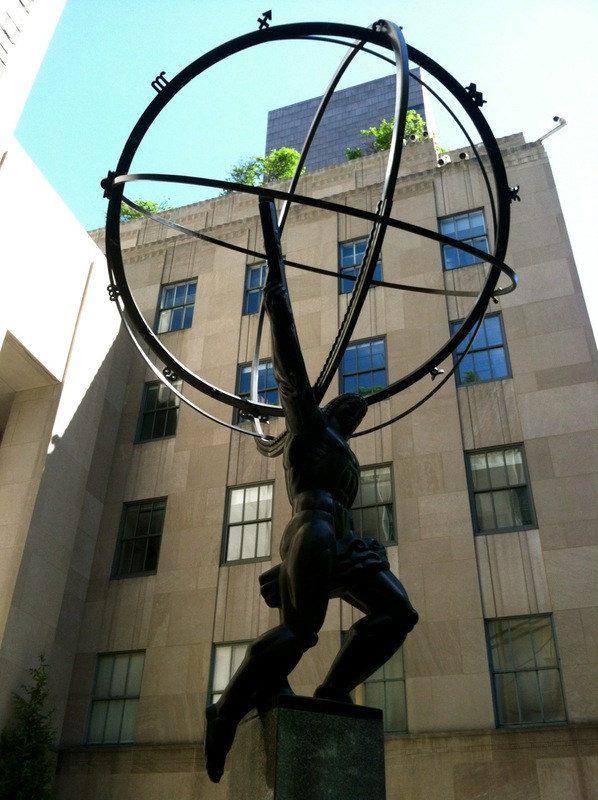 Ultimately we are connected to the present as we study global climate and its changes. Writing the film, we imagined the sense of wonder and astonishment that, decades ago, occurred each time a ground-breaking image of Earth was returned from off-world. This new perspective seems to rekindle a deeper appreciation for our living and breathing planet. It is beautiful and fragile. It is home. 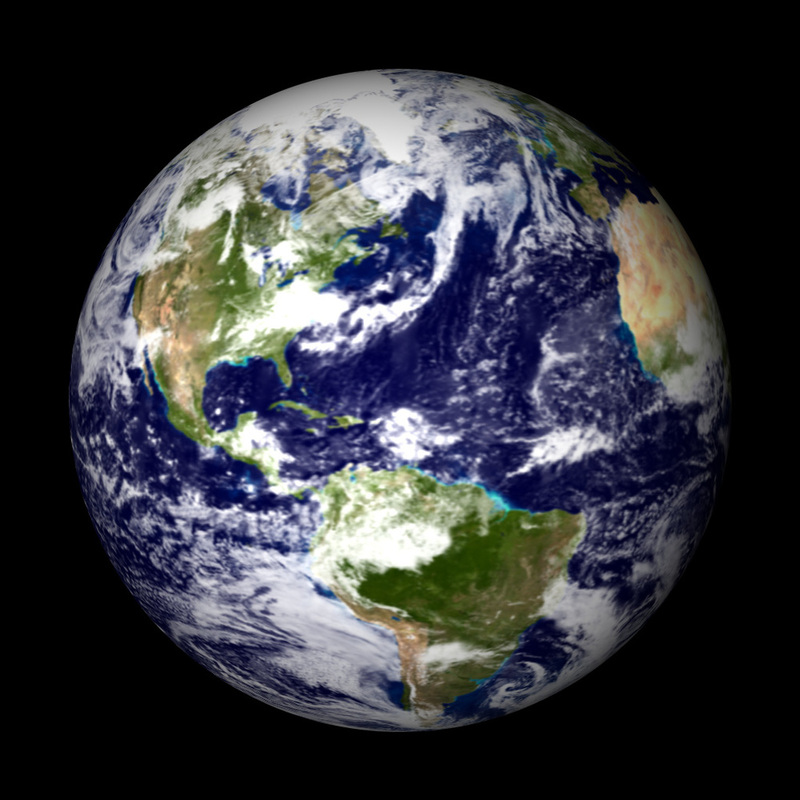 In 1972 this Apollo 17 image "Blue Marble" is the first photograph of the entire disk of the planet and becomes an icon of the modern environmental movement. It also serves as a turning point in our film when we bring it to life via an animation highlighting the incomplete nature of this striking photograph. Later, the 1990 Voyager 1 image of the Earth from 6 billion kilometers away was dubbed "Pale Blue Dot" by Carl Sagan, inspiring his famous commentary about the obscurity of our place within the cosmos. It is from this enlightened reflection that we drew much inspiration to create this film, as can be evidenced by the opening sequence and final quote. You can read the entire passage by Carl Sagan here. From the original 453 x 614 pixel image, we create a 50 second animation at the beginning of the film. 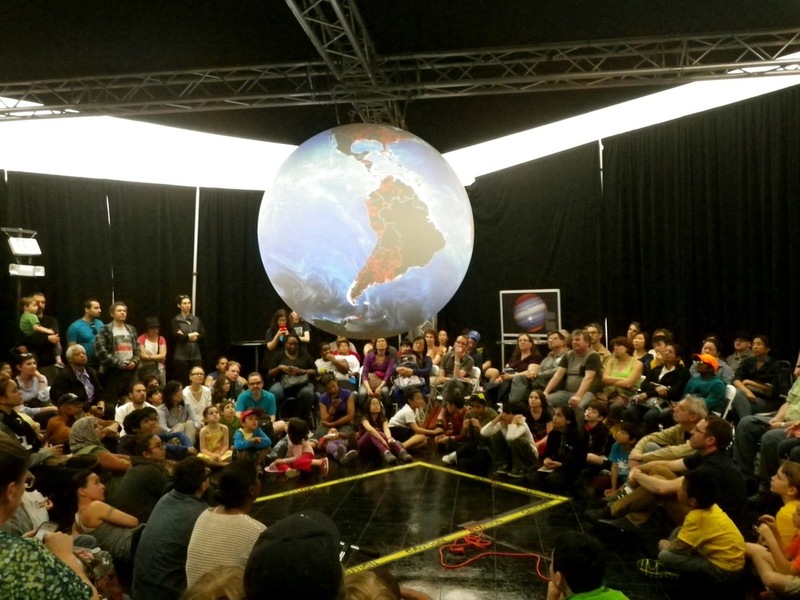 Partnering art and science we use music, narration and visuals to focus the audience on this small...blue...dot. A meditation, if you will, on the seemingly insignificance of our home planet and its isolation within the cosmos. Voyager 1 image of Earth from 6 billion km away. Taken in 1990, this image is dubbed by Carl Sagan "PALE BLUE DOT". However, the story has just begun. 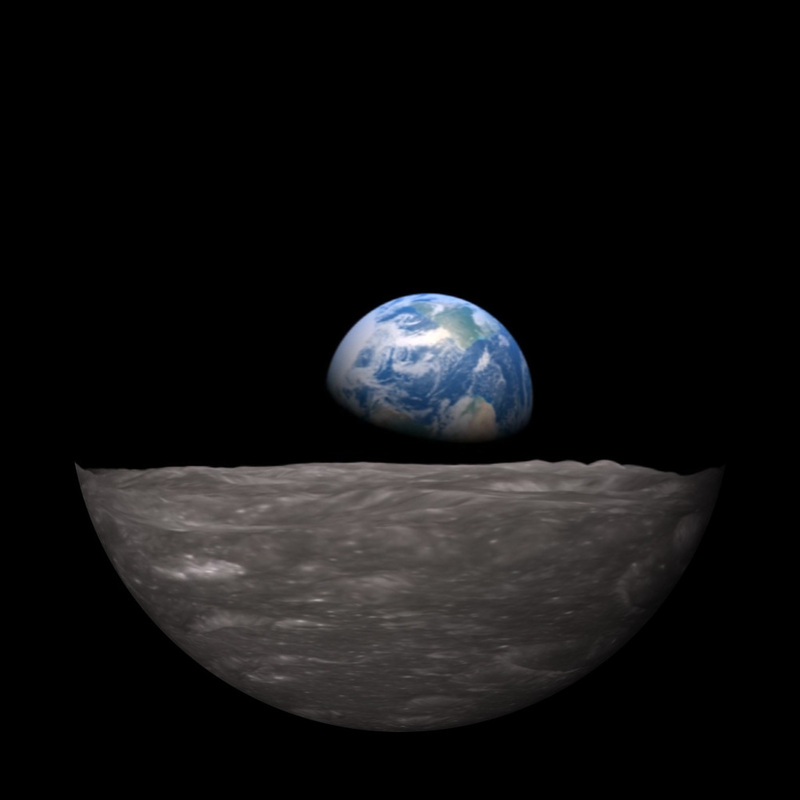 While Our Pale Blue Dot offers a stroll down memory lane - yes, there are the voices of the Apollo 8 astronauts taking in their first Earth rise - there is more than sentimentality at work. We truly hope to build an appreciation for looking at the Earth from space—something many in modern society take for granted. We make use of this perspective every day, via smart phones and TV screens. Whether it's getting directions, checking out a building location or tracking the latest hurricane...looking at the Earth from above is literally at our fingertips. And so our film moves from single images of Earth to today’s extraordinary satellite imagery. Every day we rely on accurate weather forecasts via the legacy of the TIROS program. But there's more. Earth observing satellites and their continuously streaming data have provided us with decades of information about our planet's vital signs: sea ice cover, ocean temperature, greenhouse gases and vegetation – to name just a few. We see much more than a snapshot of our beloved home. We see amazing details. We see all those seemingly insignificant little things adding up to a big picture. And that big picture is of us…we humans…and our Earth. And the only planet we've ever called home is changing before our eyes. While our film was truly independent and not funded by NASA or NOAA, it makes significant use of many public domain photographs and data visualizations. As filmmakers, we are indebted to the scores of people and years of hard work which made these images possible. As a short film, Our Pale Blue Dot can only cover so much ground; it serves as an introduction into the basic concept of looking at Earth from space; it inspires us to consider the value of doing so. In our resources section below, we will highlight much of the source content used as well as links to in-depth material regarding the science of climate change. Our Pale Blue Dot was originally created for Science On a Sphere (SOS), and we strongly suggest that you find a location near you! In addition, we will be releasing a specially designed HD version for viewing on the flat screen. Stay Tuned! Music by DP Kaufman and Jami Sieber. For the people of Earth. Our Pale Blue Dot premiered at the World Science Festival on May 31 at the Eye of the Storm: The Science of Weather exhibit. 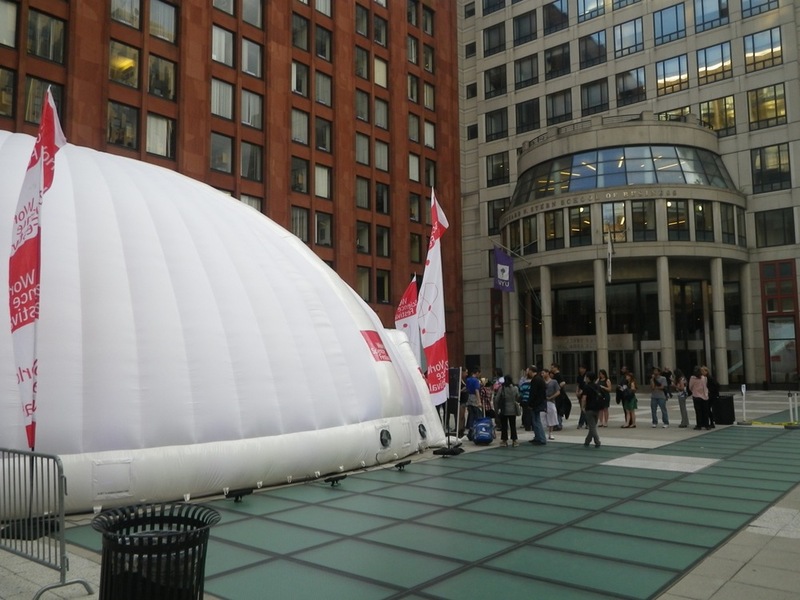 A special installation of NOAA's Science On a Sphere was housed in a huge dome at the Gould Plaza, NYU. We also spent some time discussing the art of science and spherical filmmaking and our work in NASA's latest film, Water Falls. Our favorite question from the audience? "What can we, as a global community, do about climate change?" On June 10, 11 & 12, we were in St. Paul at the Science Museum of Minnesota for the Science On a Sphere Users Collaborative Network conference. 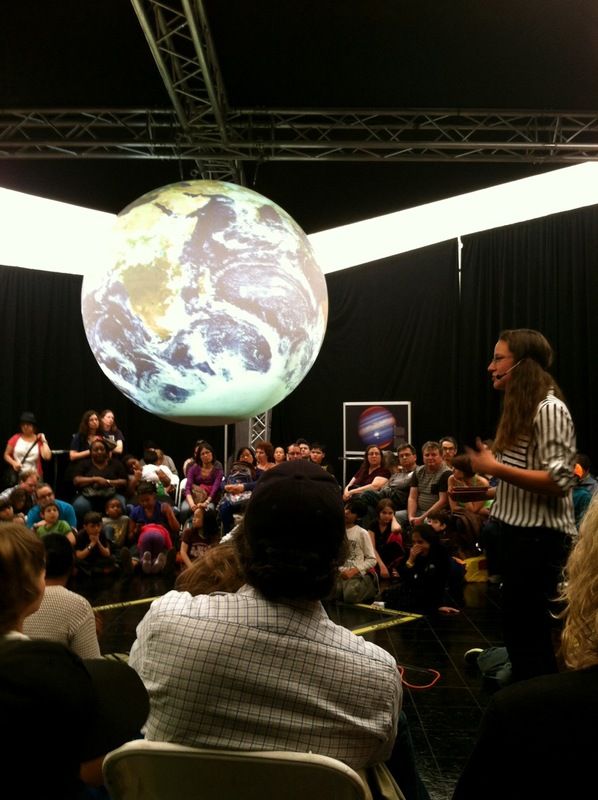 Our Pale Blue Dot was shared with the SOS Network members for the first time during our Tuesday afternoon session "How to: Tips and Tricks for Video Production on the Sphere." With over 100 SOS locations around the world, be sure to check for a location near you! Adapted for the flat screen, Our Pale Blue Dot screened during the Taste of Tucker gala to a room of West Virginia legislators and citizens and businesses of Tucker County. The Culture Center Theater, also home to NPR's Mountain Stage radio show, was a spectacular venue to premiere the film in West Virginia. As co-founder of the Plum Tuckered Film Festival, Verglas Media was excited to screen the film (not in competition) at the inaugural event in Thomas, WV. The 16th Annual WVFF is held October 2-4 in Sutton, WV. Our Pale Blue Dot will screen in the Elk Theater during the 3:35 to 5:30 block. Don't miss this chance to see it on the big screen! This set of production stills from the film reveals the many ways of looking at the Earth from space. Photographs by astronauts and satellites are only the beginning. Quickly the images become detailed composites - many layers of processed data combined to visually reveal the science. Through time, such visualizations are used to reveal global patterns - sometimes decades in the making. Many become the foundation of weather and climate models, ultimately helping us understand how our planet is changing. IN-DEPTH - Details and links about the science and imagery used in the making of the film. The inspiration for our film, this Voyager 1 image of Earth from 6 billion km away is wrapped to the sphere. We embrace its pixelation, as it truly reveals the nature of our isolation within the cosmos. In-depth NASA Earth Observatory story here. The Voyager 1 Image "Pale Blue Dot" (1990) animated for the film. 1968 Apollo 8 "Earthrise" simulation by NASA Scientific Visualization Studio. December 24, 1968 - The NASA Apollo 8 Crew: Frank Borman, James Lovell and William Anders work together to capture the stunning view of Earth “rising” behind the Moon. Recently, the NASA Scientific Visualization Studio simulated the event as it happened, revealing the fascinating story behind the photograph. 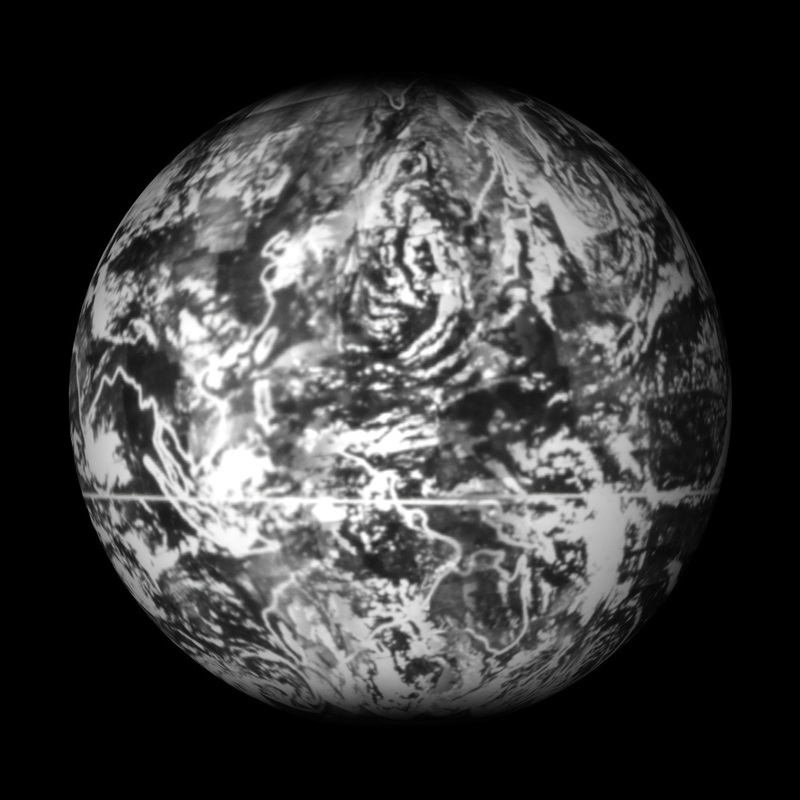 1972 Original "Blue Marble" wrapped to the sphere and animated for the film. December 7, 1972 – The NASA Apollo 17 crew: Eugene Cernan and Harrison “Jack” Schmitt and Ron Evans photograph the Earth as a full disk for the first time; a truly beautiful, iconic image of our planet. Mapping it to the sphere with the rest of the planet in wire-frame, we are able to experience its incomplete nature. This story in The Atlantic provides a captivating behind-the-scenes look. Read it here. First complete view of Earth’s weather, 1965. Assembled by NASA from 450 TIROS images. Launched April 1, 1960 TIROS 1 marked the dawn of Earth-observing satellites, and provided the first images of clouds and weather patterns from the vantage point of space. Here, 450 TIROS images from several days come together to provide the first full-globe composite of Earth’s clouds. Learn more about the TIROS program and legacy with this video. Layers and layers of satellite data combine to give us this detailed true-color view of the entire planet. Called the Blue Marble after the original 1972 image, this high-tech composite from 30 years later has become equally iconic. 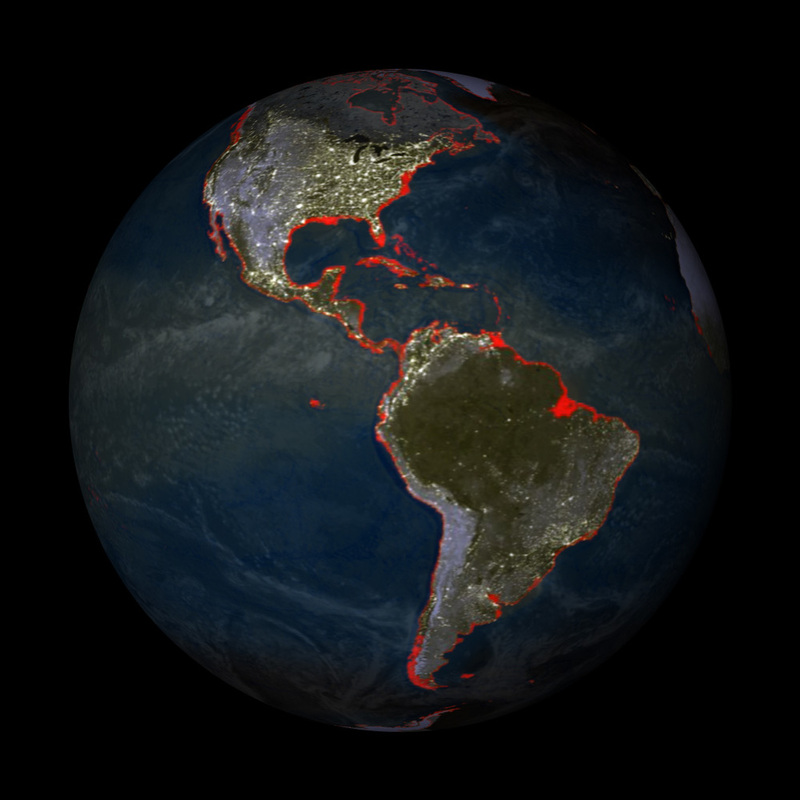 Learn more about the process of creating this image in the NASA Earth Observatory feature here. At this point in the film, we quickly introduce various observed data and model layers in order to illustrate the complexity of modern remote sensing. We start with vegetation observed from satellites and sea surface temperature from ECCO2 model output, layer in observed weekly sea ice extent, and finally add atmospheric water vapor from the GEOS-5 Nature run collection. Along with the temperature of the ocean’s surface we see flows and currents, also at the surface. 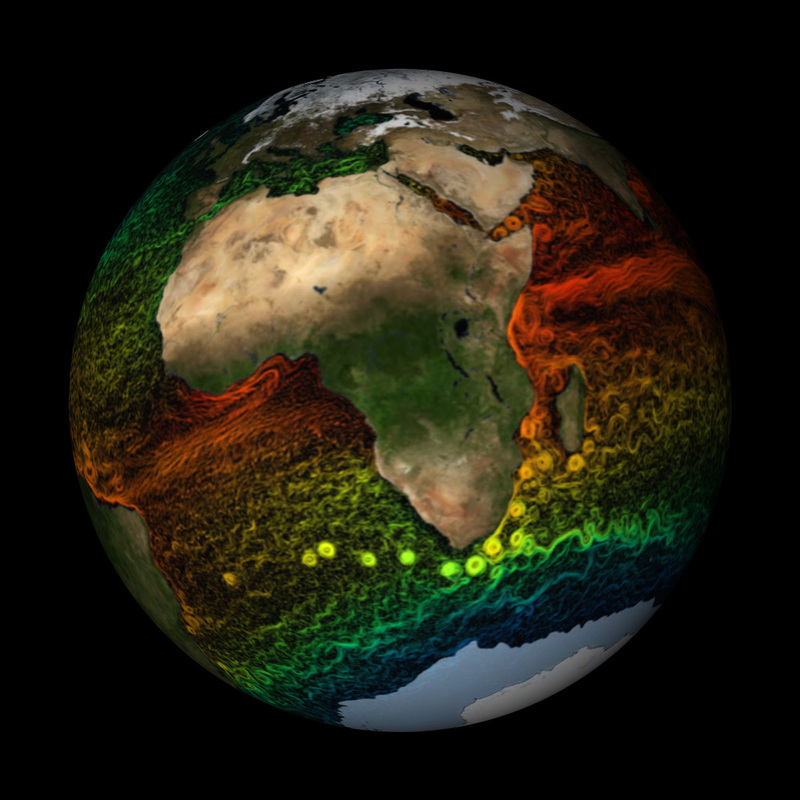 This stunning visualization combines satellite observations with ECCO2 model output. Learn more about Estimating the Circulation and Climate of the Ocean - or ECCO2 - here. 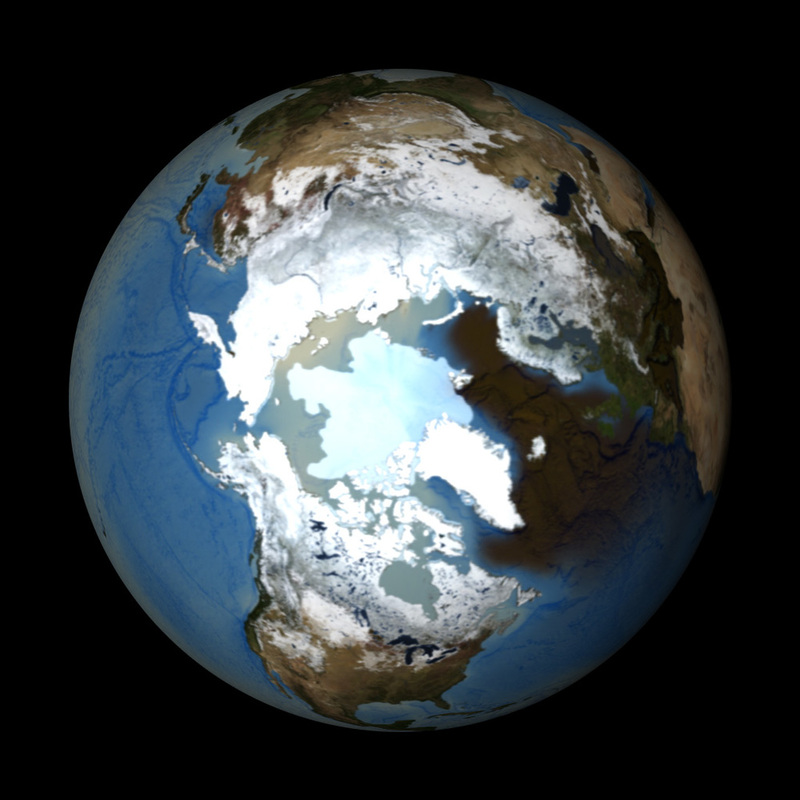 Arctic sea ice plays a starring role in Earth’s climate system. Every summer, some of the ice melts as temperatures rise seasonally in the northern hemisphere. As summer comes to a close during September, the melting of the sea ice slows and eventually reaches it’s smallest extent - for that year. Comparing this September minimum extent for almost three decades, researchers have seen a relatively rapid decline. Visit the National Snow and Ice Data Center - or NSIDC - to learn more about the current conditions of Arctic and Antarctic sea ice. Scientists have also been tracking the multi-year sea ice - that has survived at least one season of summer melt. Between 1980 and 2012, multi-year ice has declined at a rate of -15.1 percent per decade. The ocean covers 71 percent of Earth’s surface. This makes it a major factor in weather and climate as it serves as a transporter - and storehouse - of energy. Monitoring the ocean’s surface is a fleet of satellites which provide global coverage in great detail. 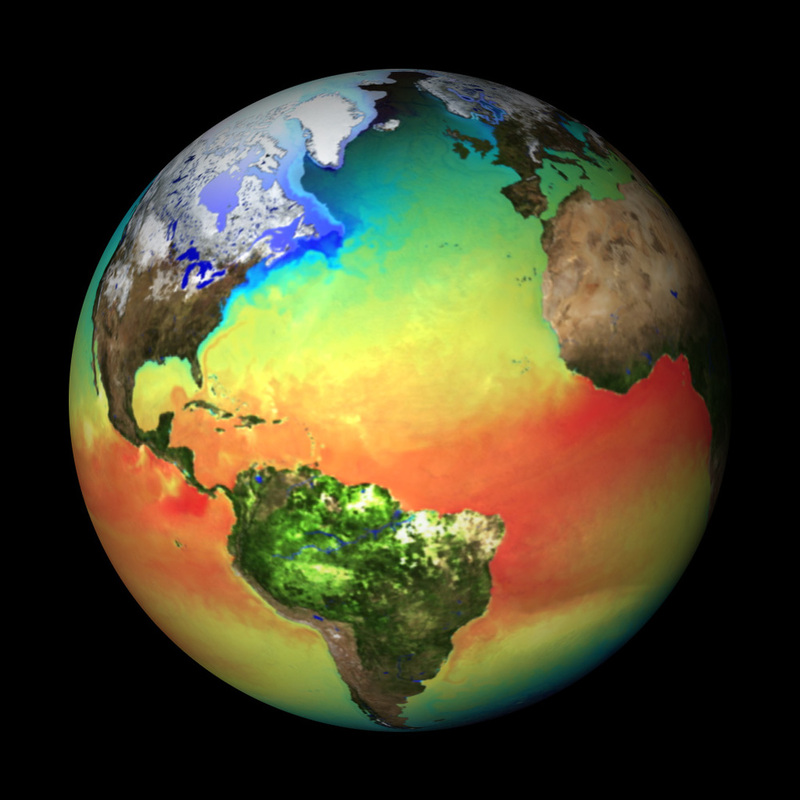 Building upon the observations, scientists use sea surface temperature in models and climate simulations. 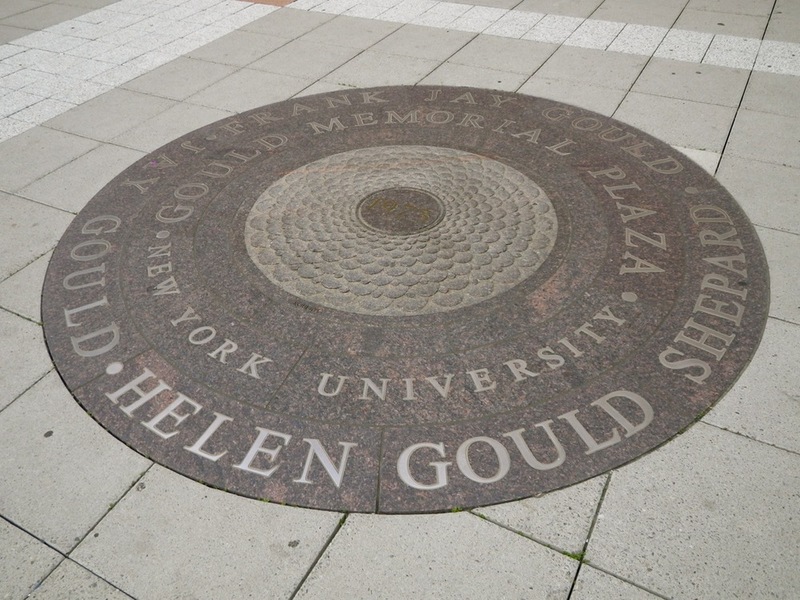 Our film makes use of the output of NOAA's GFDL Earth System Model. About 39 percent of the Earth’s population lives in coastal cities. As sea levels rise and encroach upon the shoreline, people’s homes and business are displaced. This dataset illustrates a rise of up to six meters. In the 2014 report the IPCC estimated a rise of 1 meter by 2100. NASA is also using satellites to monitor sea level rise. By tracking and averaging long-term measurements over time, researchers can see where variations from the norm take place. 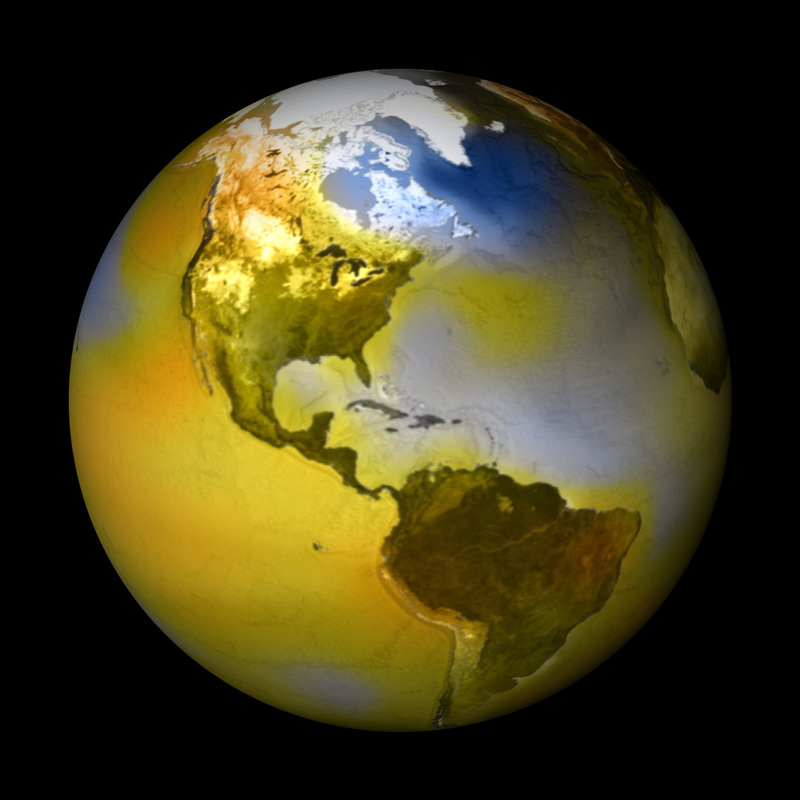 This particular dataset reveals global temperature anomalies from 1880-2013. Here, blue represents cooler than average temperatures, and orange, warmer. NOAA's National Climate Data Center provides an informative FAQ page about the method of using anomalies to analyze the planet's temperature. 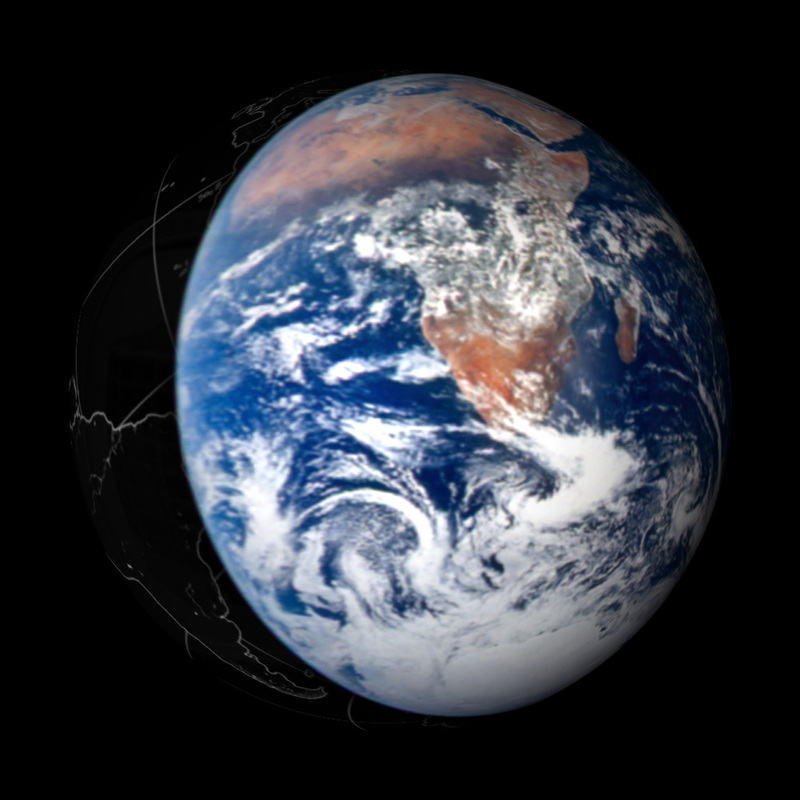 Over the last fifty years, looking at the Earth from space has evolved from simple snapshots taken by hand into comprehensive streams of daily global coverage by fleets of satellites. As artists, we appreciate the striking beauty of this perspective, and as citizens of the planet we are indebted to the information it provides. Please visit climate.nasa.gov to learn more about climate change - its causes, effects and NASA's role. Videos and educational materials abound! Here is a great resource for engaging kids. For in-depth access to climate and historical weather information, visit NOAA's National Climatic Data Center. Special thanks to NOAA Science On a Sphere and their comprehensive collection of datasets as well as the NOAA Visualization Lab for their contributions to the catalog. 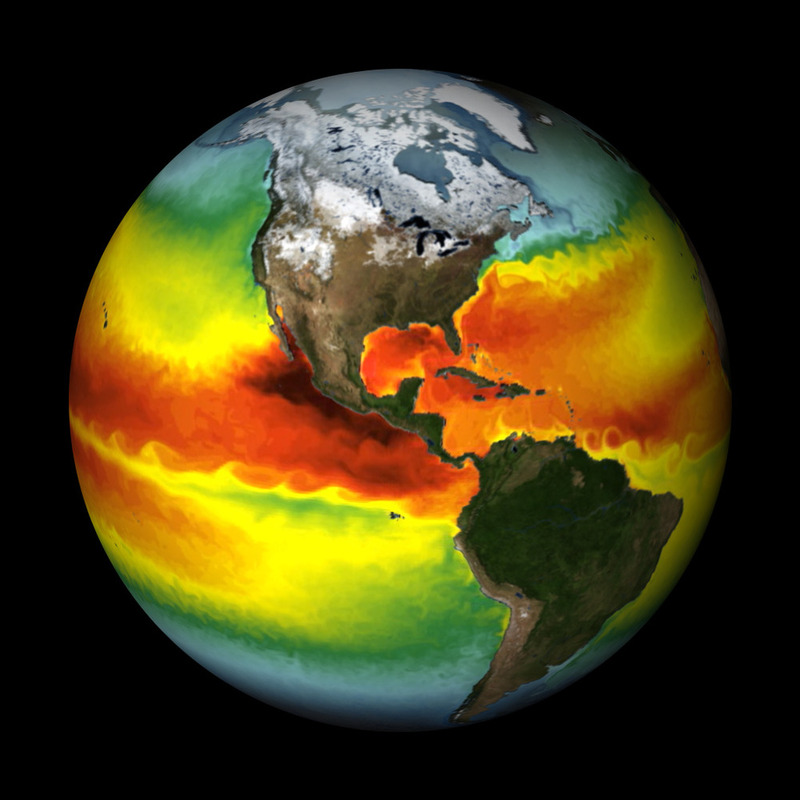 We would also like to thank the team at the NASA Scientific Visualization Studio for their amazing public service of visualizing complex data and making it so readily available to the public and science media producers. If you have any questions or comments about the film, please be sure to contact us!